This cute, fun Preemie/Newborn Valentine’s Monster Hats pattern would be perfect for a little monster this Valentine’s day! Keep coming back this week for more Valentine’s day hats. *This pattern is written in American Crochet Terms. Cut yarn and change to pink yarn. Cut yarn and change to white yarn. 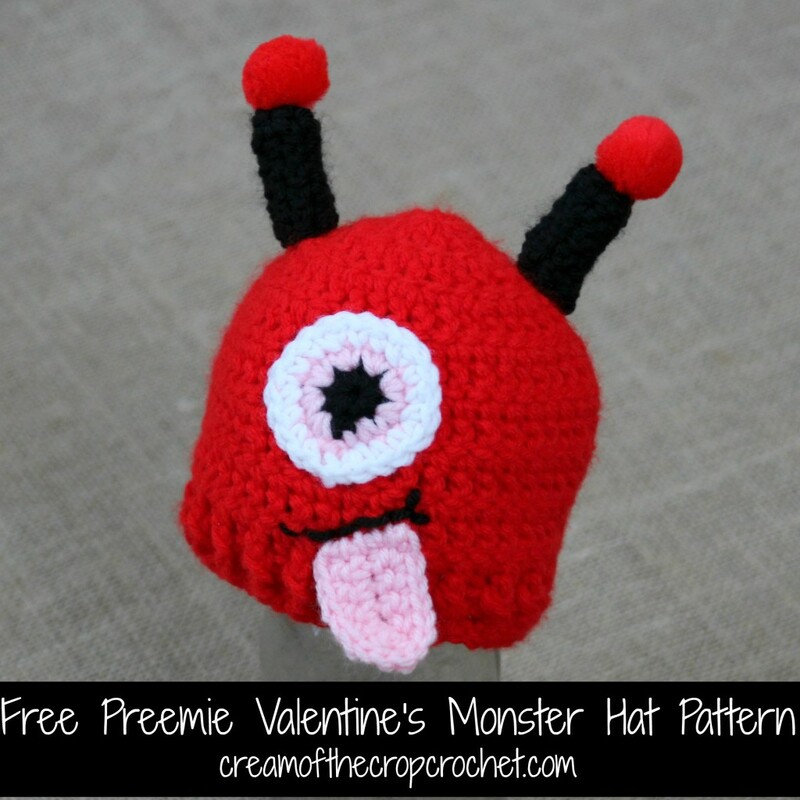 This Valentine’s Monster Hat is just ADORABLE!! Pinned.